In 2010, the hardback version of Neville Staple’s biography was published by Aurum Press – co-written with yours truly. The publishers ran several front cover ideas past me and Nev and of course, only one could be chosen. Below was one of the ideas that didn’t make it – but I think was very evocative. I’d almost be tempted to blow it up and hang on my bedroom wall as a ska/2Tone poster. Back in 2009 after working with Neville Staple on his biography, I joined The Specials backstage at the 02 Academy in Brixton – here’s a great shot of the chaps. In 2011, the paperback of my biography of Neville Staple was published by Aurum Press. I’d spent countless hours with Neville and also many of his close friends to write Original Rude Boy. This had involved popping up to Coventry and sitting with Nev in his living room reliving the glory days of 2Tone but also discussing his youth and friendships. I found that Neville was very passionate about his family, especially those in Jamaica he had been forced to leave behind as a child – including his own mother. I think it’s fair to say that Neville has a Jamaican soul. Though he’s also a Coventry lad and has led a life in music that has taken him all over the world. But he has never forgotten his roots and crucially those people who were always there in the good times and the bad. In that respect, one would have to single out Trevor and Rex, childhood buddies who went on to tour with The Specials – officially as roadies but a bit more than that. Together with Neville, Trevor and Rex brought a black British street-wise sense to The Specials. This was something Bernie Rhodes understood was essential during his short time managing the band. This trio gave The Specials a flavour that set it apart from other 2Tone offerings. Though of course, one cannot ignore the towering genius of Jerry Dammers. He had recognised in the old ska sound from Jamaica something that could speak to young people at the end of the 70s. They were tough times. Unemployment was high, poverty was increasing and hope was giving way to frustration and despair. Jerry’s interpretation of ska with Neville’s ability to “toast” about the realities of everyday life in the decaying auto city that was Coventry was an incredible combination. Hope I helped to capture this in the book. Speaking to Huffington Post journalist Salvatore Bono, Neville said some kind words about yours truly. He knows how to talk to people, knew how to talk to me. And I want to do a follow up about the touring with the Specials and stuff we left out before – and he’s the man because he knows what I’m like. You can read the full review HERE on the HuffPo. 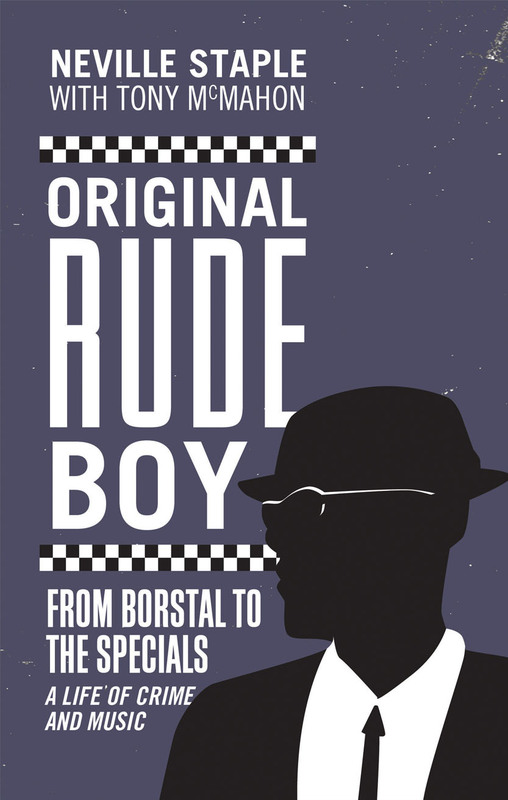 As you may know – I wrote Neville Staple of The Specials’ biography which was published in paperback this year – Original Rude Boy. Came as a bit of a surprise to discover that Neville was a bit of a lad back in the day and I mean burglaries, fights with knives and other bad behaviour, or what he calls “Neville things”. Why did The Specials split? The summer of 1981 was warmer than most in the UK – but not because of the weather. Cities across the country exploded in rioting. First it was Brixton in April and by July, like a forest fire it had spread to Toxteth, back to Brixton, Coventry, Birmingham, Southall, etc, etc. Even middle class suburbs felt the need to stage a mini disturbance in case they got left out. A huge leap in youth unemployment; a prime minister who didn’t seem to care (Thatcher); police forces imposing stop and search that left black youth feeling targeted and a general sense that Britain was on its knees. I was 18 at the time and everywhere, there was a sense that the country was fit to blow. Punk no longer served the purpose of channelling this youth anger. And there was plenty of fury under the surface. It needed a new music that would articulate the problems as opposed to just screaming: F… off! Not that punk hadn’t done a sterling job in the mid-70s but now it fell to ska and 2Tone to convey alienation and despair. The Specials, a band made up of black and white talent, found its time. Terry Hall was the snarling ex-punk front man. Neville Staple brought a street-wise knowledge as a young black man who had known the inside of borstal and prison. Jerry Dammers was the musical genius who revived a Jamaican sound, ska, that captivated us from 1979 to 1981. The single Ghost Town rocketed to the top of the charts. It was bleak. It was uncompromising. It painted Britain as a soulless dystopia ruled by a government that had turned its back on millions of people. Unfortunately, the song was the last hit for The Specials – as divisions within the band erupted to the surface. There was always a lot of chat about whether Terry Hall had been plotting for ages to leave The Specials and form Fun Boy Three or if it was a sudden flash in the pan. I’ve found one interview where he says that he knew when The Specials got to number one with Ghost Town, it would be their final appearance on Top of the Pops.